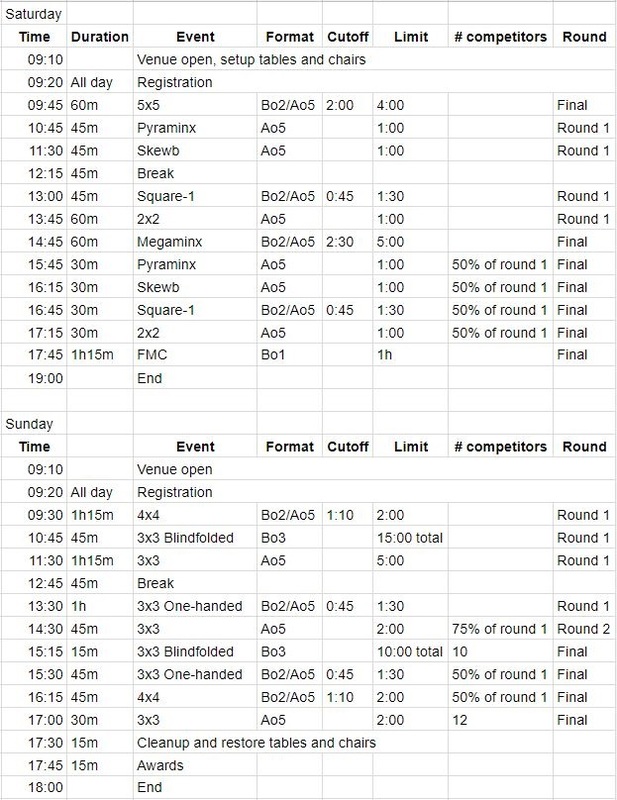 The competitor entry fee is 20 euros and must be payed through the WCA payment system when you register. The entry fee for guests of 5 euros is payable at the competition. These fees include drinks/snacks/cake throughout both days. The competitor limit is 100 people. If you register after this limit is reached you will be added to a waiting list. Registration will close at the end of Friday 10th November. The base registration fee for this competition is €20 (Euro). Sint-Niklaas is located between Ghent and Antwerp and is easily reachable by both public transport and car. Trains from Ghent or Antwerp will bring you to Sint-Niklaas in about half an hour. You can use B-Europe to check and book trains. From the train station, you can take a bus to the venue. The best option is bus number 1 as this will bring you the closest to the venue, right in front of the church (directions on Google Maps). Alternatively, walking would be 20-25 minutes. Sint-Niklaas is right next to the highway E17 which connects Ghent and Antwerp. 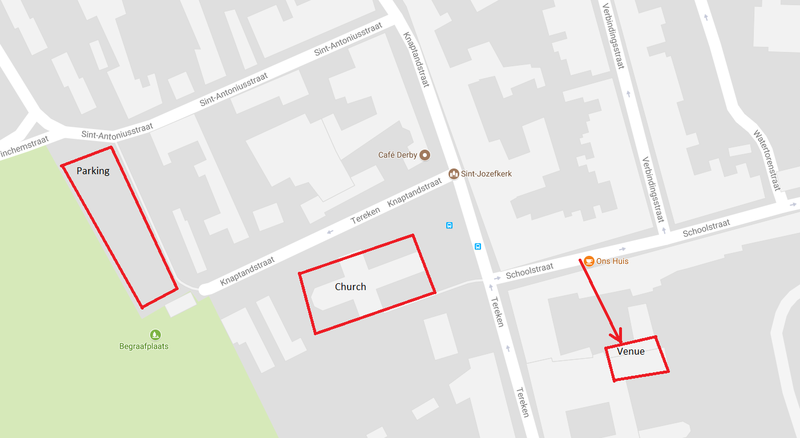 The small street to the right of the church has a lot of parking spaces available. Furthermore, there is a big parking area at the end of it. Hotel Serwir is closest (600 m walk from the venue). Ibis is located in the centre of Sint-Niklaas (1.3 km walk from the venue).